I hate wires, and spend most of my time trying to hide them when setting up new equipment, but you wont need to do this with the Outlet Wall. The Outlet Wall is made up of power outlets where you can just plug your cables in anywhere you want, and they form part of the display. 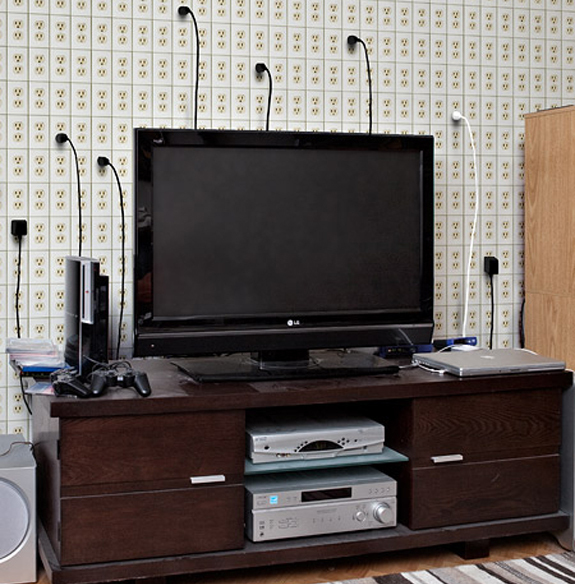 This is a great design concept and certainly gets rid of the need to hide wires away.